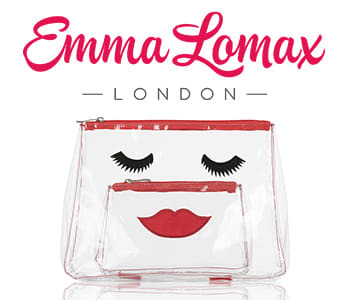 Ensure your favourite beauty stash always looks fabulous with the Emma Lomax Makeup and Wash Bags collection. Inspired by her love for beauty and creativity, Emma has developed a collection that will delight with its attention to detail and quirky design. Each one is an ode to beauty lovers, allowing you to keep your favourite makeup tucked away in the chicest way possible. Perfectly portable or a stunning addition to your vanity table, this gorgeous collection from Emma Lomax gives you the option of stylish practicality with a unique, hand embroidered finish.